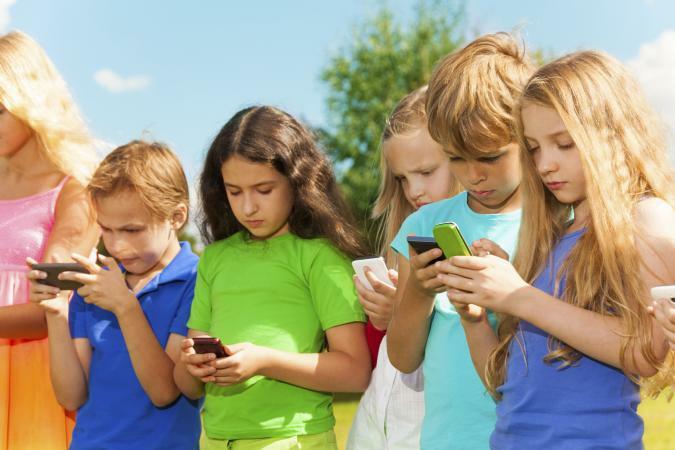 When Should Kids Get Cell Phones? Your child might be lobbying hard for that mobile device, but when does it really make sense to give her one? While there's no concrete answer that all experts agree on, there are some signs and circumstances that might help provide a framework for you to make this decision. Location, lifestyle and social environment all play a part in determining cell phone readiness. However, you can begin to think about the decision by looking at your child compared to her peers before you hand over that phone. Does she seem ready for a phone based on her developmental stage? At seven, a child is usually under the supervision of an adult so keeping in touch by cell phone isn't generally necessary. Not only that, but keeping track of the phone and keeping a firm grip on it may not be urgent priorities for that kid. By ages eight to around eleven, children develop logical thinking, application of life skills, and growing mastery over organization, remembering important things (like a cell phone) and they are also gaining some emotional control. Tip: You may want to give your child a phone that calls and texts but doesn't have Internet access. That eliminates a potential world of trouble for your young explorer to investigate and is one less thing for you to worry about. Early adolescence is challenging for everyone. 11 to 14-year-olds believe they are invincible and willingly take risks. With that said, this is the age where kids are becoming more independent and responsible. 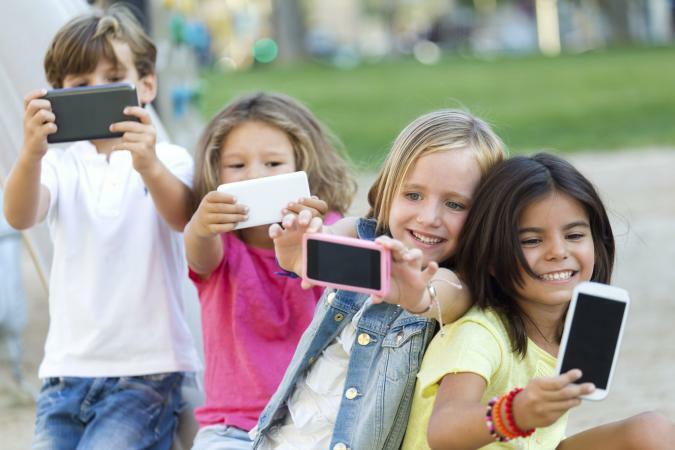 Consequently, it seems to be the age when about 70% of kids receive their first cell phone. A mature young teen still needs serious parental guidance to stay safe while connected. Cyberbullying peaks between the ages of 11 and 15, according to the U.S. Department of Health and Human Services. 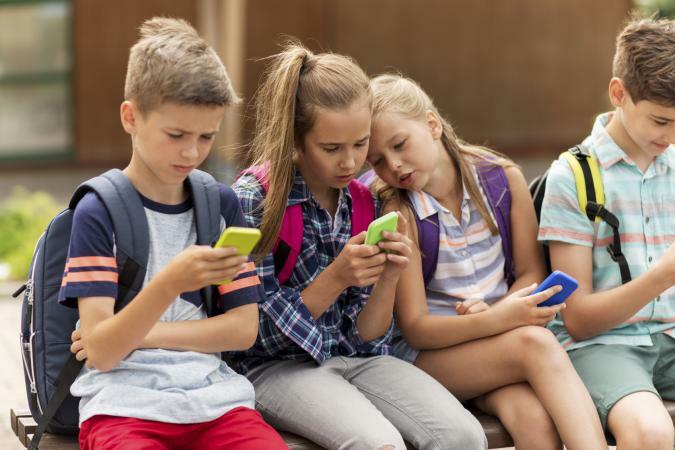 A smart phone is an opening to a potentially devastating experience and should come with a mom or dad instruction manual about safe connections, online etiquette, acceptable behavior, and signs that a conversation is veering into bullying. Some pre-teens and teens are very forgetful and others cannot foresee consequences of their actions. These are red flags that let you know your pre-teen might not be ready for a cell phone, or at least not a smart phone. Tip: If you find that having a phone is a useful way to make arrangements and stay in touch as you drop kids off at activities, it's still a good idea to spring for replacement insurance. Better safe than sorry. By ages 15 to 18, teens start to exhibit more abstract thinking and understanding of the logical outcomes of actions. Good luck withholding the cell phone from this crew. Your mid- to older teen will likely need a smart phone, but he also needs a specific, agreed-upon set of family rules for the amount and type of phone usage, phone safety, and where and when the phone isn't an option. The dangers of sexting, driving and texting, and connecting with people you don't know needs to be a marquee discussion with regular reviews. A major consideration may be security. In the event of a schedule disruption, the phone is your lifeline to reconnect and change plans. A cell phone is a ready entertainment center. It offers instant access to music, movies, books in a long airport wait, on a boring car trip, in the dentist's office or even at a social occasion where the young person is becalmed in a sea of utterly dull grownups. Kids are anxious about keeping up with their friends socially, tweeting or participating in the latest SnapChat. However, staying connected with peers doesn't mean they talk; your kids' peers text. A child who doesn't have a cell phone gets left out of those "conversations" and that can be a bitter thing to handle. The average age for a first cell phone is 10.3, according to a 2016 survey by marketing firm Influence Central. Children as young as 7 or 8, or younger, are more likely to have phones when they participate in after-school or weekend activities without direct parental or caregiver supervision. A Pew Research Center study found that about three-quarters of American teens, ages 13 to 17, have a smart phone. Educators both embrace and reject the influence of personal phones in their classrooms and curriculums. Texting, tweeting and checking social media in class get low marks. A study conducted by the London School of Economics found that students who were prohibited from using cell phones in school scored higher on tests -- and low-achieving students had the most dramatic improvement in scores. 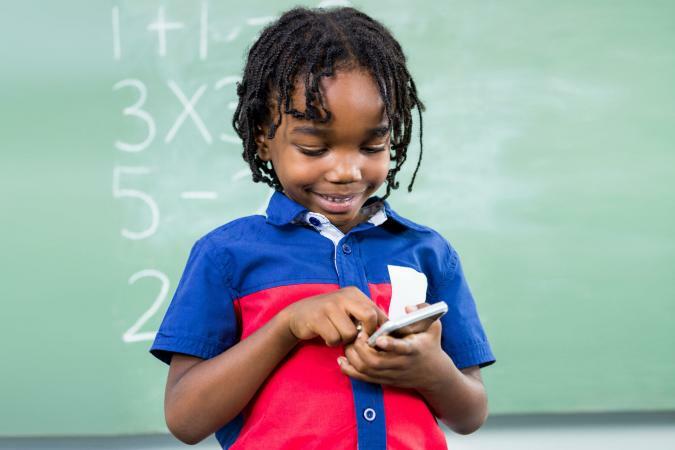 Some teachers, however, incorporate the use of apps into lesson plans so students can conduct science experiments or explore literature using their phones. Each case is individual and your child's school may determine whether a smart phone is a tool for increasing knowledge or a distraction that just dumbs kids down. Some reasons to proceed with caution don't rule out the phone altogether. Be aware of the dangers of that seductive piece of hardware and establish protective boundaries as part of the deal. Inappropriate content and callers shouldn't be part of your child's experience. A young child should have limited access, controlled by settings that block certain apps and numbers, external programs that monitor and report usage, and connections and available parental safeguards and controls offered by the phone provider. Teens should be part of an ongoing dialog about appropriate material to Google, view or download. Be candid about the ways criminals can target kids by phone and work out strategies together for staying safe. The evidence for increased exposure to RF radiation is still under study. But The IARC, the International Agency for Research on Cancer, lists RF as a possible carcinogen. Ongoing studies by the US National Toxicology Programme have found some evidence that exposure to cell phone radiation slightly increases the risk for several kinds of brain cancer. So play it safe. The CDC recommends using a hands-free headset and the speaker phone option to limit the amount of RF exposure. The American Cancer Society adds that limitations on cell phone time for kids, and texting instead of talking are workable alternatives. Texting and driving can be fatal. Teens who drive need a frank discussion of the danger, and strict rules about using the phone in the car. The cell phone may be an inevitability. The age at which you take the plunge and equip your kid with a mobile chat machine is entirely up to you. Your "wise beyond her years" straight-A student and your "addicted to risk" creative genius will be candidates for their own phones at different ages. When you sanction the phone is as big a decision as whether and what kind. A cell phone increases both freedom and privacy/secrecy. You be the judge of the best and safest choice for your family.